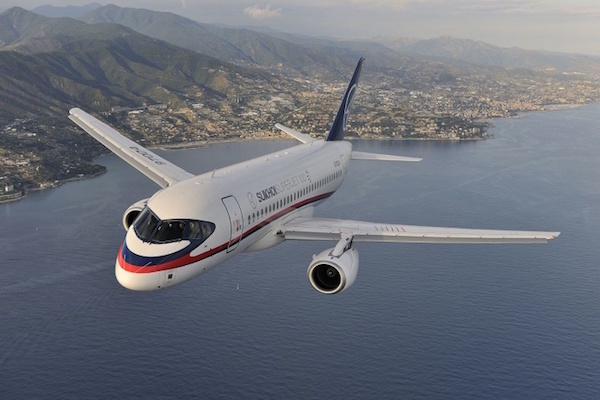 Aeroflot and United Aircraft Corporation have signed an agreement for the delivery of 100 Superjet 100 aircraft. The document was signed by Aeroflot chief executive Vitaly Saveliev and president of PJSC United Aircraft Corporation, Yury Slyusar, during the Eastern Economic Forum in the presence of president of the Russian Federation Vladimir Putin. Under the agreement, UAC will deliver 100 Russian-built SSJ100 aircraft to Aeroflot between 2019 and 2026. The aircraft will be configured with 12 seats in business class and 75 seats in economy class. The final contract will be signed after the parties agree on material terms of the transaction and corporate approvals have been obtained. Saveliev said: “We have signed the largest aircraft delivery agreement in Aeroflot’s history, under which the company will receive 100 modern Russian-built SSJ100 aircraft. “Including the expected delivery of 50 MC-21, by 2026 Aeroflot will operate 200 Russian-built aircraft. Aeroflot currently operates 49 SSJ100 aircraft and is expecting the delivery of the 50th aircraft. Aeroflot’s first commercial SSJ100 flight took place on June 2011 between Moscow and Saint Petersburg. Today, SSJ100 aircraft operate on routes to Belgorod, Nizhny Novgorod, Orenburg, Perm, Saratov, Sochi, Syktyvkar, Tyumen, Chelyabinsk and other cities. SSJ100 aircraft also fly to international destinations including Dresden, Vilnius, Gothenburg, Bucharest, Zagreb, Ljubljana, Riga, Sofia and Tivat. Slyusar added: “We have worked with Aeroflot for many years. “As the first and largest operator of SSJ100 aircraft Aeroflot has significantly helped the development of Russia’s aircraft industry.